Christmas came a little early this year for Tom Dwyer. In fact, to numerous Irish business owners on the West Side of Manhattan, New Jersey Governor Chris Christie suddenly looks a lot like Santa Claus, and not just because the Garden State leader could stand to lose a few pounds. Tom Dwyer is the owner of the Blarney Rock pub on West 33rd Street. Dwyer, whose parents were Irish immigrants, had spent the last several years facing his own demise. As with dozens of other businesses on the West Side of Manhattan, the Blarney Rock was in the bull’s eye of a massive transportation project which was designed to ease the flow of commuter traffic into New York City from New Jersey. By and large, everyone from unions to politicians to suburbanites are in favor of such massive projects. They create jobs, improve commuting time and give elected officials an opportunity to claim they have done something. There’s just one problem. Businesses which have been around for decades have to be torn down to make way for this kind of progress. The Blarney Rock, as well as another Irish bar on the block, Hickey’s, were just such businesses. “I didn’t think we had a chance,” said Dwyer. Under a messy process called eminent domain, local governments can essentially seize private property in the name of municipal improvements, such as tunnels designed to link two states. The property owners are generally reimbursed, at market rate, for their losses. The problem is, often, this does not change the fact that the property owners did not want to give up their homes or businesses. Dwyer was one such business owner. So when officials announced the New York and New Jersey tunnel, Dwyer fought back. “I gave it my best shot. I figured, if I was going to go down, that’s how I wanted to go down,” said Dwyer, whose Sligo-born father opened up the Blarney Rock in 1969. Dwyer and many other Irish-born, Irish American and other immigrant business owners attended community board meetings and made their case that the New York/New Jersey tunnel should not be built. Some, however, eventually threw in the towel. They chose not to renew leases, figuring there was no point. The process of razing certain structures eventually began, all in the name of getting this massive construction project started. Did Dwyer ever think he had a chance of winning this battle? And that’s when Christie -- Governor Santa Claus, at least to certain West Side business owners -- stepped in. 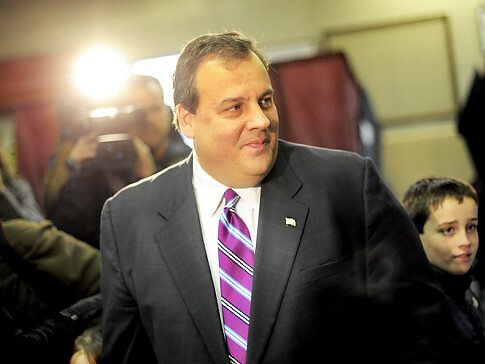 In late October, Christie announced that he was scrapping New Jersey’s participation in the tunnel project. The fiscally conservative Christie -- whose confrontational image has already earned him whispers as a GOP presidential candidate for 2012 -- cited potential cost overruns. But this initial joy was short-lived. Though Christie earned plaudits from some corners, others were critical of the governor for being short-sighted. Such critics included members of the Obama administration, who met with Christie in an attempt to get him to change his mind. Christie even stated that he would be willing to reconsider the project, which put West Side businesses owners back into the line of fire. In the end, however, it appears that the Blarney Rock and Hickey’s and numerous other Irish businesses in the Madison Square Garden area are here to stay. “We’re alive and well and we’re gonna live forever,” said Dwyer. This is only fitting. These Irish pubs survived 40 years of change in New York, from shifting neighborhoods to violent crime to skyrocketing real estate costs. Would it have been fair to survive all that only to be felled by eminent domain? In the end, Manhattan needs joints like the Blarney Rock, if only because the latest gaudy, trendsetting watering holes tend to attract vapid patrons willing to spend $12 on a pint -- if the place offers pints at all. Of course, given Christie’s announcement, it is Dwyer and many other Irish business owners on the West Side who are smiling these days.